Is that post title too cheesy for you? Not me. I love the cheese, bring it on! Haha. To help you have an awesome day, every day, I thought I’d share some of the techniques that help me maintain a positive outlook day-to-day, despite life’s ever-changing ups and downs. There isn’t really any reason why we can’t make every day the best day ever. I challenge you to give it a try! Here are some of the techniques I use to have a great day, every day. The first step to have a succesful and productive day is getting quality sleep. When you wake up well-resting and feeling great, adding these tips into your day is a breeze. 1. Compliment at least one person each day. It works every time and not only does it make you feel great, it’s bound to put a smile on someone else’s face too! And as far as I’m concerned, the more positive energy making it’s way around out there, the better! I’ve taken to complimenting not just my co-workers, friends and family but strangers as well. I’m usually thinking it to myself anyways, so why not let them know I love what they’re wearing or their hair or whatever it is I think is just great! I especially love doing it when someone looks a little down or like their day might not be going so well, it’s really amazing how a smile and a few kind words can completely transform them! 2. Spend at least 5 minutes stretching. Oh, man. I need this one. There is nothing better than a good stretch after a long day, or a hard workout, or first thing in the morning, okay, anytime! It feels good, it’s good for you and it’s a great daily habit to add to your routine. Even just 5 minutes can be highly beneficial to your health and wellness. If you can get a few stretching sessions in throughout the day, even better! 3. Spend at least 5 minutes meditating and deep breathing. No computer, no phone, no distractions. Just close your eyes, try to relax and start taking really deep breaths. If you’ve never meditated before, it’s definitely a skill that requires practice, however it’s such a wonderful tool for personal development and stress management it’s completely worth the effort. Try these 20 Practical Tips for Quieting the Mind or The Beginner’s Guide to Meditation to get started. 4. Pick an affirmation for the day and put an alert in your phone. I love my positive affirmations. It may sound a little cheesy but it makes such a difference in my day. I almost always start each day on a positive and motivated note but sometimes daily life can be really annoying, or really stressful, am I right? At times we might need little reminders to tell us to calm the @*#$ down, relax, think positively and just be happy! Or whatever it is about ourselves we need to be reminded about. I use an Affirmations app on my phone set with alerts to pop-up throughout the day. Give it a try and see if it works for you! 5. Start your day with a mug of warm lemon water. This is probably my favourite healthy daily habit. I do it every morning as soon as I get up. I makes you feel good and it’s a great way to start the day! For added health benefits, you can also try adding little apple cider vinegar and cayenne. 6. Write down 3 things you’re grateful for. That whole postivite-schmositive thing again?! Well, it works. Keeping a gratitude journal is a great way to focus on all the good in your life and help you appreciate each day. I recommend using The Five Minute Journal for this process. Whenever you have a few moments during the day, it helps to browse some inspiring blogs posts, read a few lines from your favourite motivational book or even review your own goals and journal. I like to keep a running list of excerpts from my favourite books so I can refer back to quotes that inspired me. Daily life can be so hectic that sometimes we lose sight of what’s important to us. Maybe you read something online that you really wanted to implement into your life, but then let it slide as you got busy and the days went by? It happens. As you come across articles that inspire you online, try collecting them with a bookmarking tool like Pocket, or Evernote or even Pinterest so whenever you need a quick pick-me-up, you’re all set. 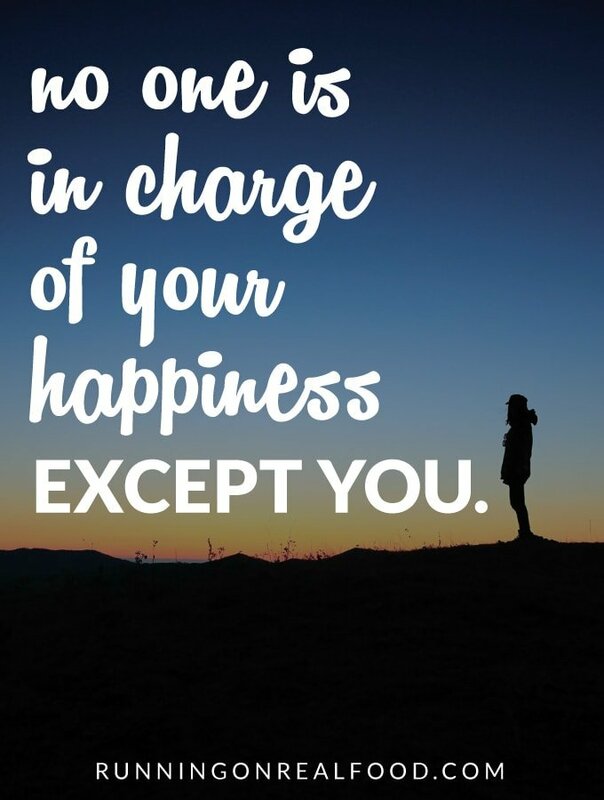 Try checking out my 14 Productivity and Happiness Blogs post for a good place to start. This seems like a no-brainer but it can have a huge impact on how you feel on a day-to-day basis. If you’re dehydrated you may feel sluggish, fatigued or even suffer from headaches and you certainly won’t feel at your best. If drinking enough water is something you’re constantly forgetting to do, try using an app like Daily Water to track your intake and set reminders. 9. Eat lots of vegetables and some fruit. Duh, right? Well, it seems simple enough but it’s so important that I thought it should be on the list. If it’s something you’re trying to improve upon, I would recommend recording what you’re eating for about a week to make sure you’re getting enough and see where you can make changes. If you can, try making a few servings of those veggies raw – have baby carrots and sliced cucumber as a side, snack on raw veggies and hummus or try making one meal or side each day a fresh salad. You’ll have more energy, feel lighter and help ensure your body is getting all the vitamins and minerals it needs. Check out my post on 12 small steps for better nutrition to get started with healthy eating. 10. Get in a good workout. Move your body, get sweaty, feel awesome. I don’t really need to go into detail about this, we all know about the countless mental and physical benefits of a good workout. Make it a part of your day, every day. If you can do it first thing in the morning, even better. And always remember, any workout is better than no workout! Only have 10 minutes? That is enough time to reap the benefits. Just do it. In addition to a good workout, make sure you’ll also moving throughout the day, especially if you have a desk job, check out my post on how to sit less and move more for tips on how to incorporate more movement into your day. 11. Get quality sleep the night before. Key word, quality. This should probably be #1 on the list because quality sleep is one of the biggest factors affecting how we feel each day. Getting the right amount of solid shut-eye helps ensure an energized and focused day ahead. To prepare yourself for a good nights sleep try these 7 simple tips: 1 – Avoid screen time right before bed, try reading or another quiet activity instead. 2 – Skip caffeine late in the day. 3 – Keep your bedroom dark and at a comfortable temperature. 4 – Before you go to bed, write down your to-list for the next day, it can help to get things off your mind so you can fall asleep easier. 5 – Spend a little time prepping for the next day, get your lunch ready, stick some overnight oats in the fridge, prepare your gym bag etc. 6 – Try a short bedtime yoga routine to relax the mind and body. 7 – Get to bed on time, obviously! For more tips, check out my post on how to have better sleep. 12. Laugh your head off. I need to work on this one. I think all adults probably do. But you know what they say about laughter and medicine. For this point, I’d like to ask for your recommendations on how I can include more laughter in the day-to-day. Please leave your best suggestions (or jokes, haha!) below. 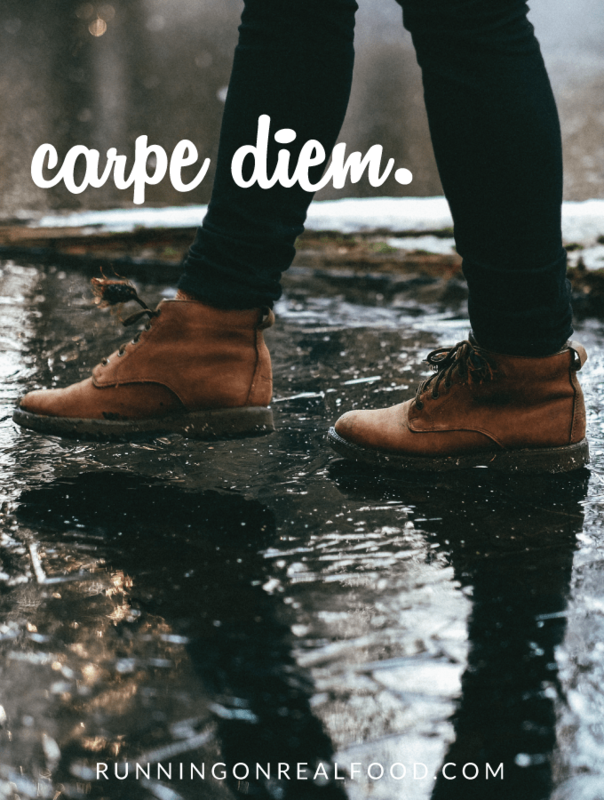 There are my 12 little tips for making each day an epic day! Now, I’d love to hear some more from you! 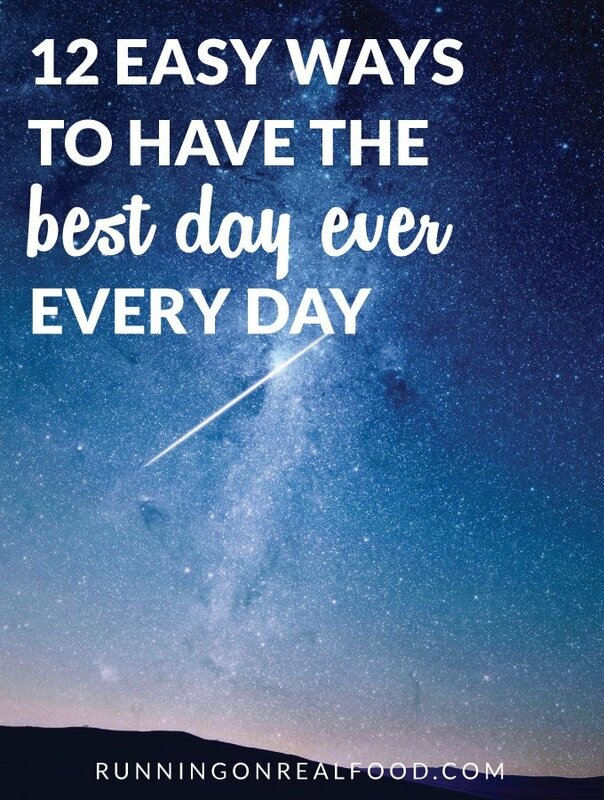 How do you have the best day ever every day? What daily habits do you have that help to make each day great? Tweet me here or leave a comment below. Love this. The attitude you decide to have will dictate your day. The daily Ffirmation is a perfect example of this. Thanks friend!! Love these! So simple yet they make such a big difference in your attitude & energy! Thanks for sharing! These made me smile just reading them! Thank you, glad you enjoyed it! I know, I need to fix that this evening. Oooopsies. 🙂 thanks for the comment. I love the last one! Laughing your head off is the best. I have to say I’m guilty of getting the giggles to the point of tears!! Such practical and refreshing ideas! All winter I have been loving starting my day with hot lemon water. I need to start with the affirmations for sure! blogging about. Btw, I shared this on Twitter and my followers loved it.